These are samples of my work at the University of Northern British Columbia from 2002 until 2008. I was the sole designer for the university and a key member of a small, but very effective team of marketing and communications professionals. I was involved in all aspects of each project, including budgeting, planning, content creation and editing, designing, photography, and overseeing final production. I also conducted market research and assisted in event planning. My team worked closely and regularly with senior administration, faculty, staff, students, alumni, donors, and politicians. Together, we developed the strategic direction of the university's marketing and communications strategy. Our work focused on both internal and external relations. 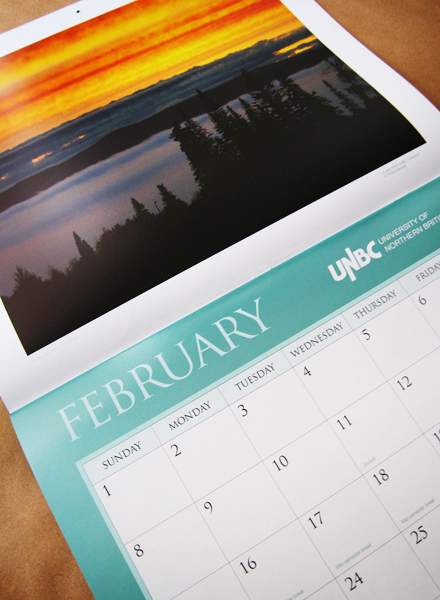 The UNBC Wall Calendar was a special fundraising project that commemorated the 15th Anniversary of UNBC. 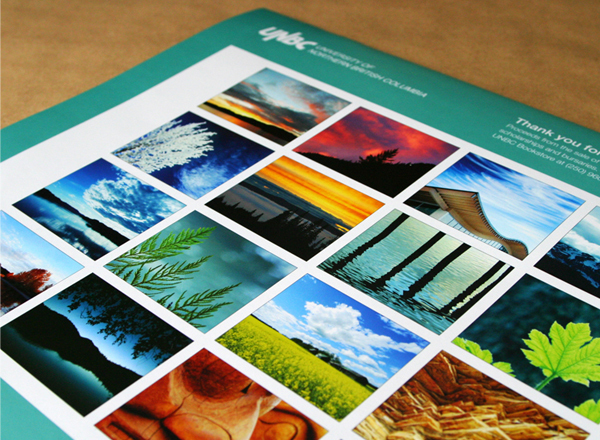 I managed the project, designed the calendar, selected the photos, and wrote and edited content. I also worked closely with fundraising staff to develop a sales and marketing plan. 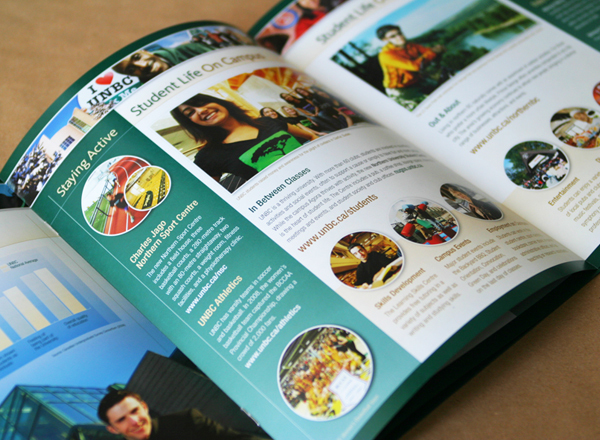 As UNBC’s official student recruitment publication, the Handbook was targeted to all prospective students and provided a general overview of the university. Working with recruitment staff, I managed the project, designed the publication, took photos, and wrote and edited content. 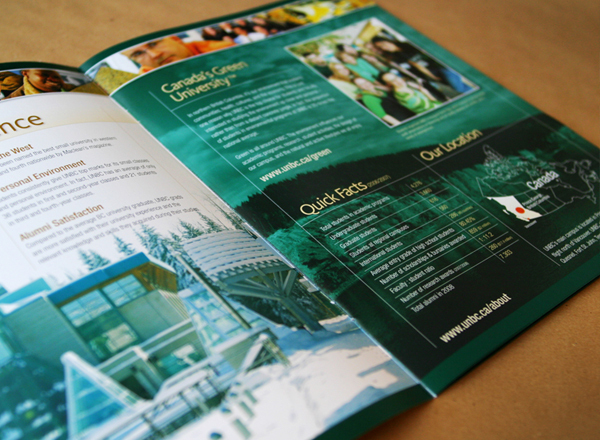 Update is UNBC’s biannual newsletter that is targeted to alumni, donors, and the general public. I managed the project, designed the publication, edited content, and worked with a team to plan story ideas and themes for each issue. Each spring, a series of customized reports were produced for specific communities around northern BC. Playing a leading role, I managed the project, designed each report, photographed students, and edited content. Given the customized nature of each report, the project required a high degree of planning and organization. 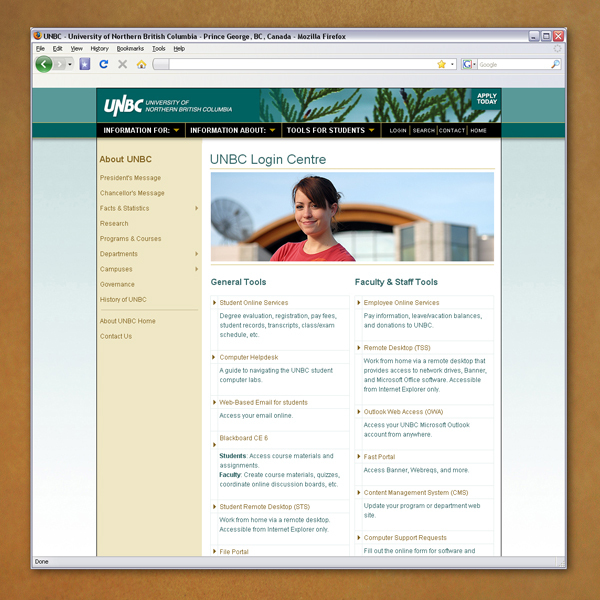 A new UNBC homepage was launched in 2008 after nearly one year of strategic planning and market research. I played a key role in all aspects of the project and led a strategic committee through the design phase. I also worked closely with technical staff to ensure a smooth launch. The Office of Communications website is an essential resource for staff, faculty, media, and the government. I designed and developed the website, providing access to logos, high-resolution photos and a series of digital templates that allowed internal units to develop their own brochures, posters, and presentations while ensuring consistency with the university's brand and visual identity. 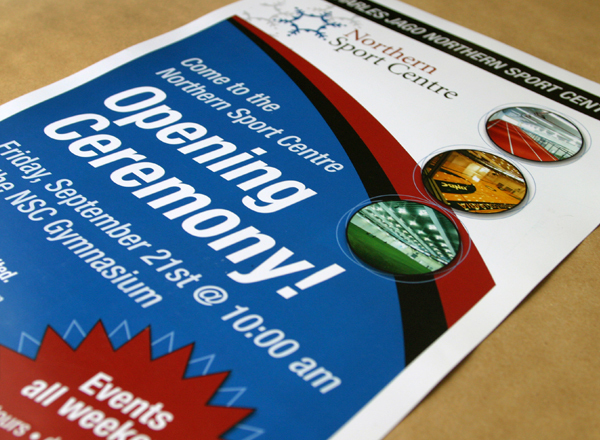 As the result of a partnership between UNBC and the City of Prince George, the new Charles Jago Northern Sport Centre required an image that would be distinct from UNBC’s visual identity. Using an existing logo, I designed a variety of materials to support the proposal and initial marketing stages for the initiative. 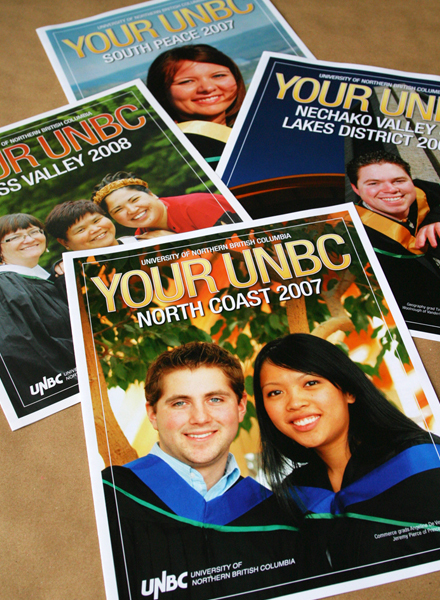 In 2004, I revised UNBC's Graphic Standards Manual to modernize and streamline the use of the UNBC logo and other aspects of the visual identity. Within less than a year, the vast majority of materials throughout the university adhered to the new standards. I designed the UNBC Alumni Association logo, incorporating components of the UNBC logo and official crest in order to illustrate a connection between the association and the university. This required approval by the UNBC President's Council and an amendment to UNBC's graphic standards policy. 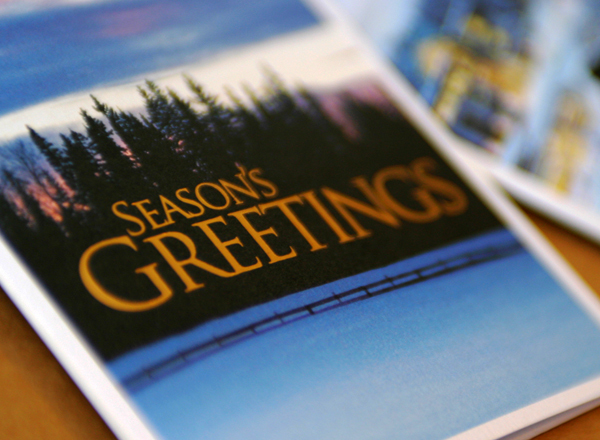 Using a glimmering paper stock, I designed a series of Christmas cards for use by UNBC’s internal departments. I designed new jerseys for UNBC’s Northern Timberwolves basketball teams to be consistent with UNBC’s visual identity, as the existing jerseys did not reflect the university's official colours or logo. I also planned and designed matching marketing materials, including a new team roster, schedule, and advertisements.